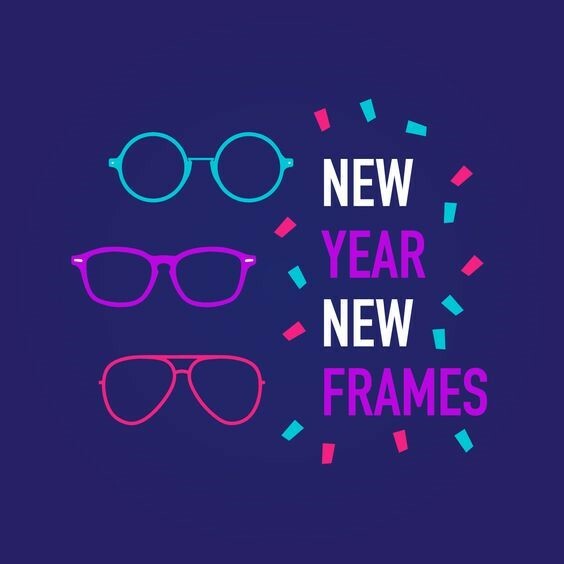 Don’t lose sight of the importance of eye health in the New Year! Well, we are here! It’s 2018. Another year is behind us!! We all love fresh new starts and new beginnings! That is the best part of starting off the new year. We have resolutions and we set new goals for ourselves. In all of the excitement of setting new goals, whether it be for our families, our personal finances, our fitness goals or maybe our career, don’t lose sight of the importance of eye health. As I have talked about before in these blogs, many people take their eyesight for granted. Thinking oh I have had 20/20 vision since I was kid and choosing not to get their eyes examined, but maybe once every 5 years. The thing is, eyesight tends to get worse as we age so having a comprehensive eye exam annually is extremely important. I was a great example of someone that didn’t think it was extremely important to have an annual eye exam. 2 years ago was the first time I had my eyes checked in over 8 years…. Turns out I needed glasses. I think back on all those years that I partially strained my eyes when working on the computer or driving at night. All those headaches that were likely caused by my eyes working overtime. All that time struggling to see and not having as great of a quality of life. And strangely enough in only 14 months of time, my eyesight and prescription had changed yet again. I now have a gorgeous new pair of glasses that I get complimented on all the time and I can SEE. Being able to see clearly everyday is a gift that I am very grateful to have. Don’t take your eyesight for granted! Get your eyes examined annually. Seeing clearly is a huge booster in quality of life! Call us to schedule your appointment today!